Don’t you love a title that grabs your attention with a mysterious name? Tianlong surely fits that bill. 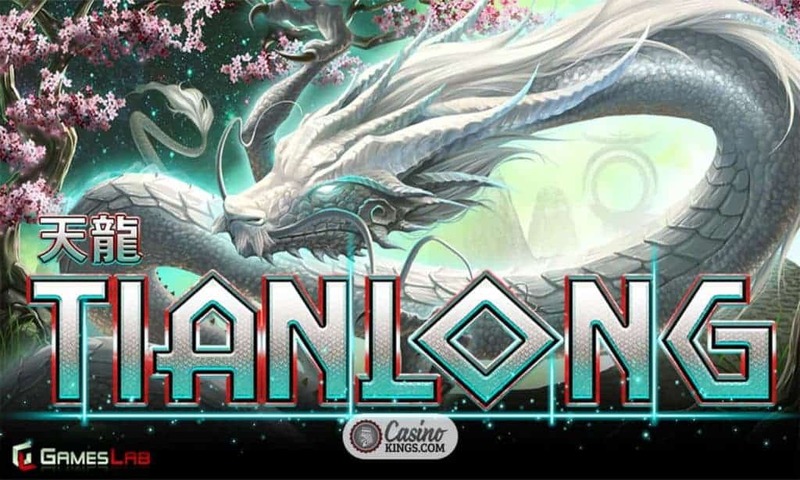 Tianlong Slot is an ancient, glowing mystical dragon brought expertly to life across these five reels by independent gaming studio Games Lab, released through iGaming giants NYX Gaming Group. 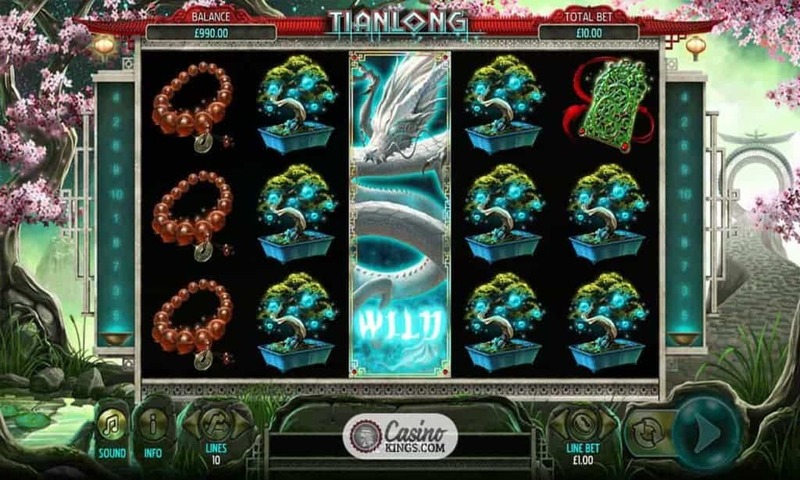 With 10 pay-lines that pay both ways, an expanding Re-spin Wild and a Free Games feature this is one mystical dragon that can hover around as long as it jolly well likes. Tianlong is ethereal and mystical, yet distinctly Oriental in style. Think China in another galaxy. We have cherry blossoms beside the reel case and an Oriental soundtrack that would be happily at home in an Ang Lee war epic. Albeit in an emotional scene rather than a swooping battle. Our symbols are also distinctly Oriental – Cherry Blossoms, Pebbles carved with Chinese symbols, Amber Bracelets, Bonsai Trees, Lanterns. 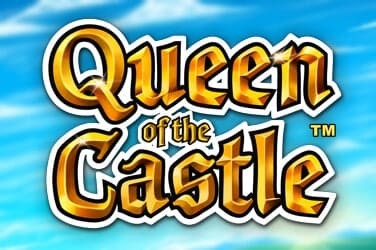 Our top-paying symbol is a mystical Castle atop a hill, and one quick look at the Pay Table shows us that even our low-paying symbols offer decent payouts for simple wins. For example, landing three of a kind of our lowest symbols brings a x5 line bet multiplied win per winning combo. 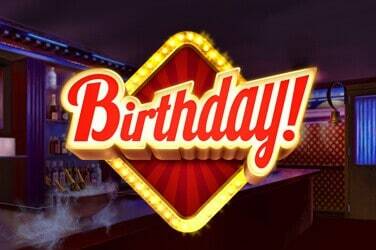 Should we land three of our mystical Castles we will land a multiplier 50x our line bet. Not only is the Tianlong slot mystical and wise, it is also generous. 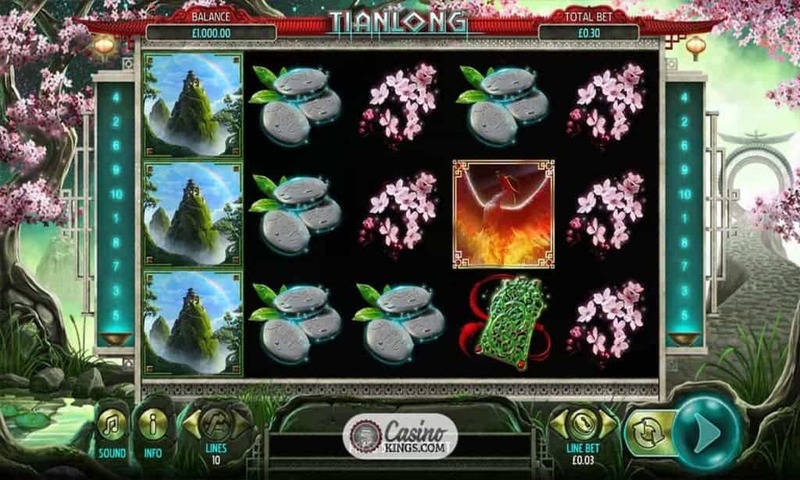 The Tianlong symbol is the Wild namesake of this slot, expanding to become an Expanding Wild on any reel on which it lands. 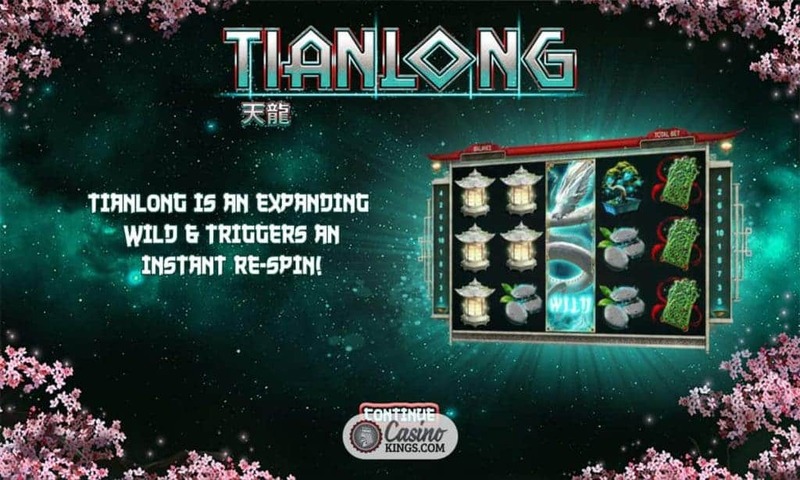 Not only do we bag any winning combinations for the triggering spin, but Tianlong also grants us a single re-spin with Tianlong remaining as the expanded Wild. Nextgen dims the lights and brings out the stars beside the reel case to emphasize the mystical nature of this bonus feature. You may notice a Phoenix symbol spinning across our reels and it this flaming bird that launches Tianlong’s main bonus feature. 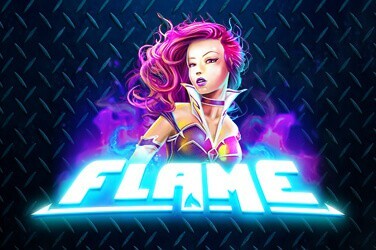 Expect more dramatic stylings as three Phoenix Scatters on reels 2, 3 and 4 trigger 15 free games in Tianlong’s Free Spins bonus. 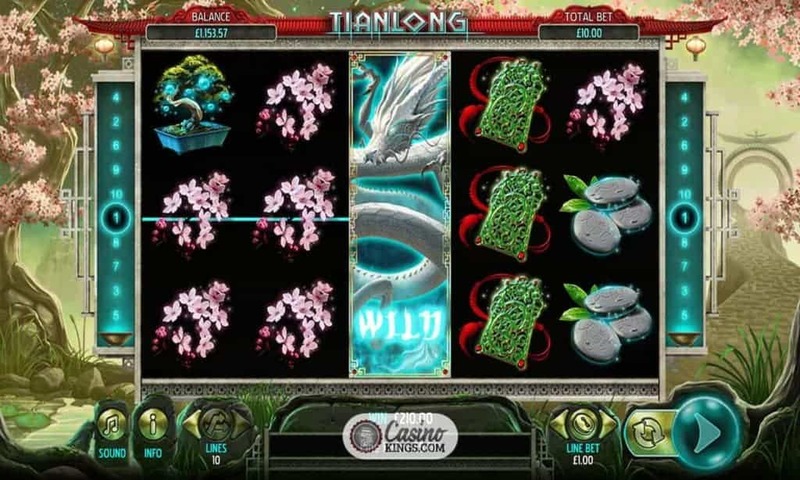 It seems the Phoenix is even more generous than Tianlong, for during the bonus game all of our wins are doubled. 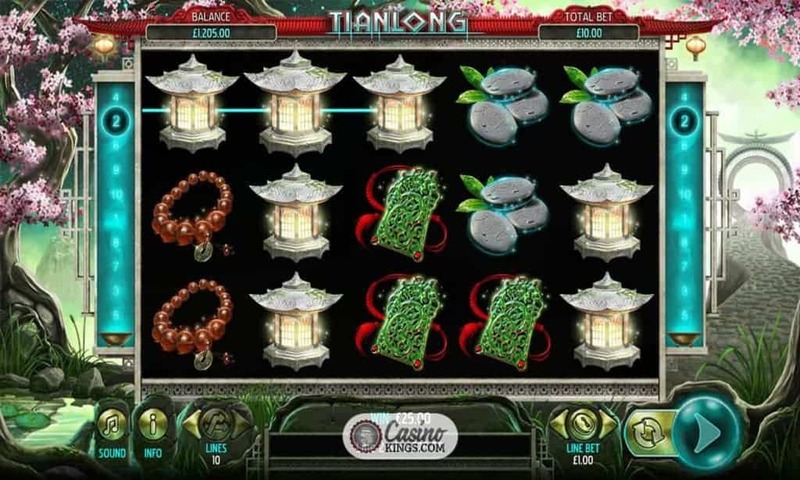 Games Lab is an independent developer that has used the reach of the NYX Gaming Group to create and release an online slot in Tianlong that is playable, ethereal and fresh. It is incredibly visual and develops a well-explored theme to new levels, taking us on a mystical journey in the process. 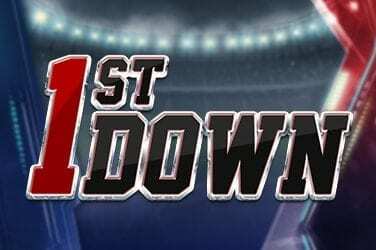 Top online slots play, this.